Haven't you always wanted to be able to find that piece of land that is not too big requiring constant work load, but not that tiny that you can hear your neighbours conversations! Well here is that opportunity ... these semi-rural sections on the fringe of Wakefield have been eagerly anticipated by passersby's watching the subdivision progress, and they are finally on the market! 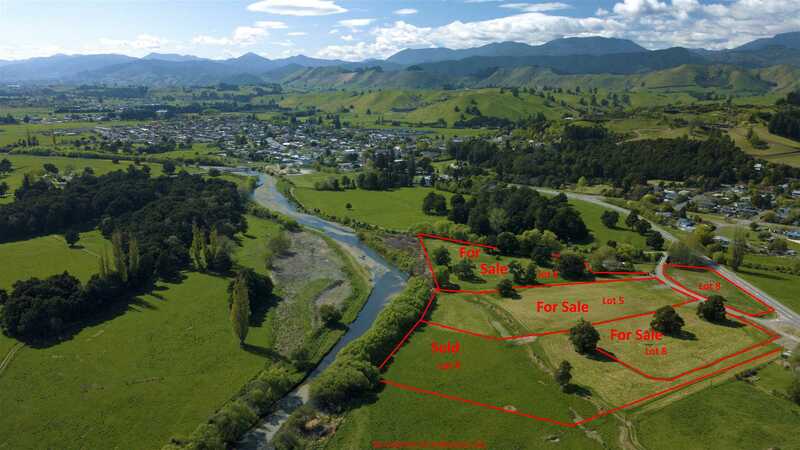 With Lot 4 already sold.... We are offering Lot 6 - 1.6704 Ha, Lot 5 - 1.3147 Ha and Lot 8 - 0.9702 Ha (more or less) for sale by Deadline on the 28th November 2018 at 3.00pm. All sections have a potential building platform area and power to the private driveway of each lot. Lots 5 and 6 both have a bore for domestic and stock water, and covenants that protect your asset without being completely over restrictive! Surrounded by established trees, close by to the Wai-iti River, walking tracks and reserves. Why have a pokey residential section when you could have all this space, whether it be for the kids to run wild, horses or other stock, or just the privacy these lifestyle sections offer. Within a short walk, Wakefield is renowned for a rural community feel with all the amenities that a country village can offer such as a supermarket, cafes, cycle trails, schooling, sports clubs and an easy commute to Richmond and Nelson. Also close by are local beaches and lakes and everything else this great region has to offer. So, put your architect and builder on speed dial, come out and walk around your future lifestyle block at our Open Section Days or by appointment by contacting the listing agents Sharyn or Toby.